I had the cutest little girl in studio yesterday. She was about a month old, so you can guess what that meant! Baby acne! :) This is another reason I recommend having your newborn pictures taken within the first week. But if that isn't possible, don't worry! Today I will show you the Lightroom tool I use to easily remove acne and dry skin flakes. Before I went to Fotofly Academy, I believe that I could tell the difference between a good photo and a bad one. But looking back, I realize that I didn't know what it was about a given photo that made it pleasant to view. Sometimes the reasons are subconscious, and you can't put your finger on it if you don't know what you're looking for. You just know, "Hey, that looks good!" or "This is a terrible picture!" Here I will briefly explain five basic rules of newborn photography (most of which can be applied to all photography) that will make the average amateur's photos look drastically better. One of my favorite things about living in Lehi is being so close to Thanksgiving Point and getting to take my littles there all the time. 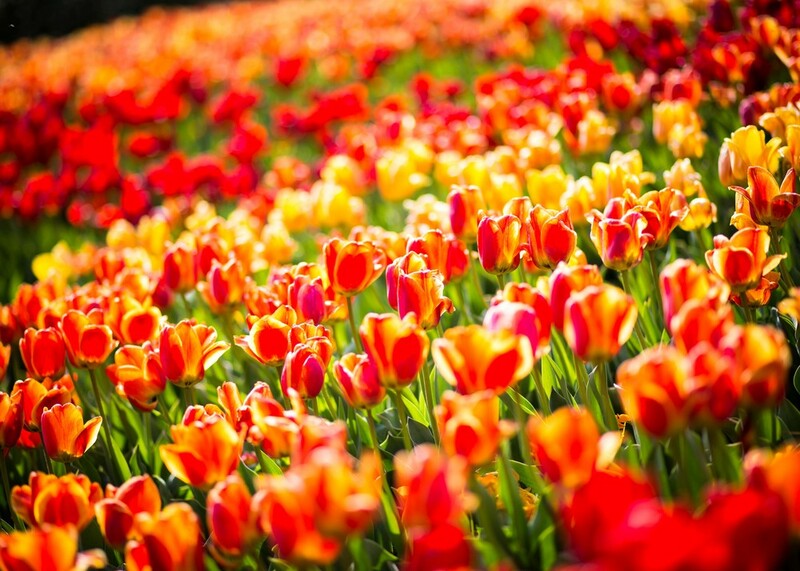 And my favorite thing about Thanksgiving Point in the spring is the Tulip Festival. It is the most beautiful place! I took the kids on Monday (and forgot a stroller...don't do that when you go), and we went back again on Tuesday with the hubs (and a stroller)! Can't get enough. While I was there, I noticed a lot of people taking pictures of the flowers, of course. But from watching them, I also noticed that most people don't understand the difference that lighting makes. It doesn't matter if you're photographing the prettiest flower (or the prettiest person). If the lighting is bad, the picture will be bad. In general, the lighting is bad if it is coming from the same direction from which you are shooting. Think of the most unflattering cell phone pictures you can imagine. The flash was on, right? :) Lighting your subject straight on. Bad! See the difference? I love how the light shines through the white petals and gives them such dimension, whereas the leaves and stems on the first picture look especially non-dimensional (flat) and boring. Look at the highlights and shadows in those stems! See how the exact same subject looks like night and day in terms of photography quality, just because of LIGHT?! I can't even believe this is the same little patch of flowers! The other thing I should mention is that I did the exact same computer edits across all of these files. So the difference is not in the editing - just the lighting!